The research HF radars monitor plasma motion in the ionosphere, at around 300 km altitude. 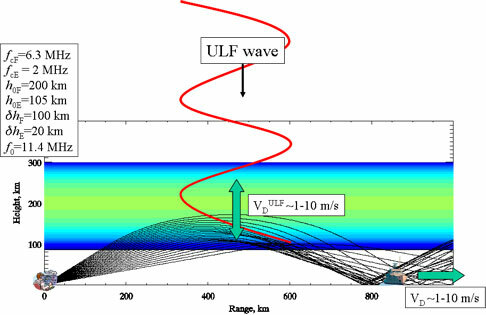 ULF waves from space encounter the inner boundary - the ionosphere and cause the ionosphere plasma to oscillate. We have developed methods to extract these ULF signatures from the Doopler data of the radars.